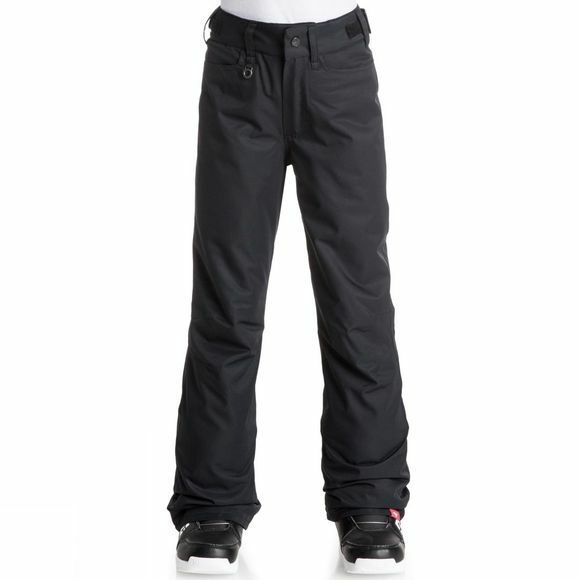 The Girl's Backyard Pants from Roxy are toasty warm snowsports pants that offer excellent warmth and protection from the elements. Utilising WarmFlight insulation throughout the pants your young winter explorer will stay warm and cosy all day long while the mesh lined leg ventilation will allow cooling if neccessary. The waist adjusters also allow the perfect fit everytime and offer a little growing room to make sure they last more than just the one season while the taffeta boot gaiters keep the snow on the outside at all times.